HTC seems to be working on a new smartphone which is going to be launch soon. 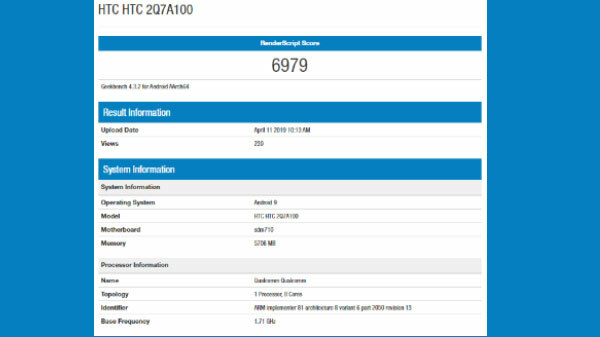 Now in a new report, it has been claimed that a new HTC has been spotted on the Geekbench benchmarking platform with a model number of 2Q7A100. It seems that this is going to be a top-notch smartphone from the smartphone maker. According to the benchmark listing the HTC smartphone is said to run on Android 9 Pie and it will be powered by Snapdragon 710 SoC, which is going to be the best cheapest after Snapdragon 855 but not as good as the latest Snapdragon 730. The smartphone will be backed by a 6GB RAM. However, it has not to be cleared which smartphone it will be going to launch. There will be the possibility of launch this phone under Desire series or under U series. 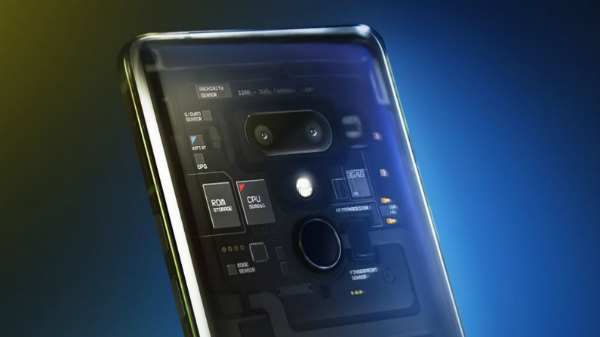 Just to recall, back in 2018 HTC announced that it is going to launch only mid-range and high-end smartphones in 2019. So this might be one of the first major smartphones from the company this year. So far we have this much information about the HTC flagship smartphone. We can expect some more information in the near future. Recently the company has announced that it will start rolling out the Android 9 Pie update for its HTC U11, HTC U11+ and HTC U12+. The company also confirmed that the update will release in this quarter.